Union, in Tolland County, is located in the northeast, or Quiet Corner, of Connecticut. First inhabited by Nipmucks (a local Native American tribe), and later, in 1727, settled by Presbyterians from Massachusetts, the town was incorporated in October of 1734 and includes the village of Mashapaug. Union is the least-populated town in Connecticut and contains the point of highest elevation in the eastern-half of the state. One-third of the town is set aside as park and forest land and includes: Bigelow Hollow State Park, Mountain Laurel Sanctuary, Nipmuck State Forest, and Yale-Myers Forest (managed by Yale’s School of Forestry). 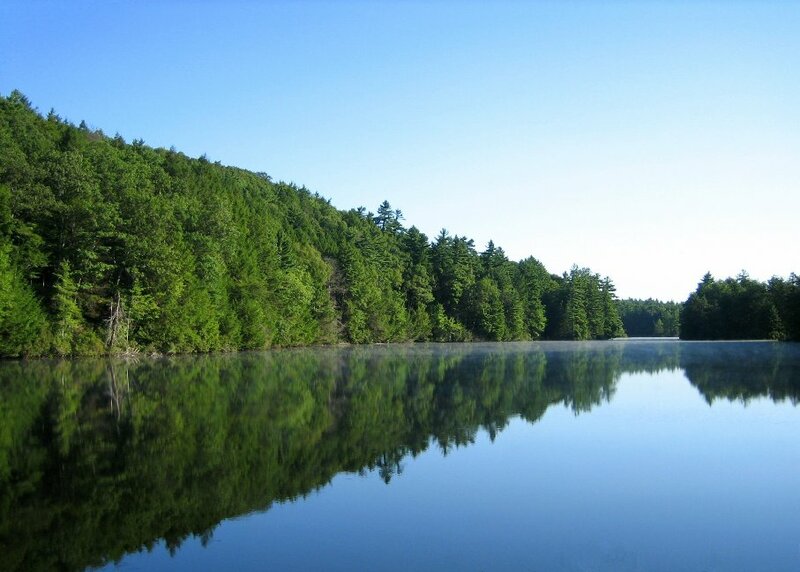 “Bigelow Hollow State Park & Nipmuck State Forest.” Department of Energy & Environmental Protection, 2012. Link. “Union Historical Society.” Town of Union, 2014. Link. “Photograph: Charcoal Kiln, Union,” 1949. Connecticut History Online, University of Connecticut Libraries, Archives & Special Collections. Link. “Union - WPA Architectural Survey.” Connecticut State Library Digital Collections, 2014. Link. Hammond, Charles. The History of Union, Conn. Edited by Harvey M. Lawson. New Haven: Press of Price Lee & Adkins, 1893. Link. Union Historical Society, and Jeannine Upson. Union Lands: A People’s History. Union, CT: Union Historical Society, 1984.